If you enjoy a day at the beach, but want some form of protection from harmful UV rays, then a beach tent is just what you need. It can help prevent overexposure to the sun, keep you cool and comfortable on hot summer days, and provide you with a relaxing shelter at outdoor events. It can add a touch of luxury and a lot of comfort to your beach day. 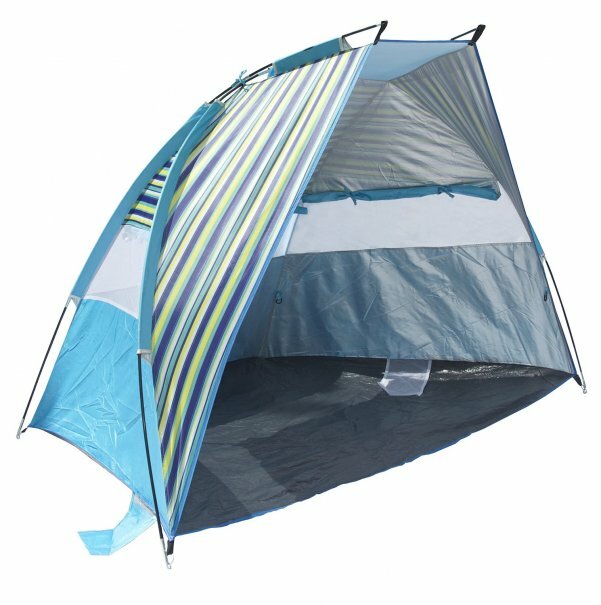 What is a beach tent? A beach tent is a piece of outdoor gear that can shelter you from the sun, sand, water, and wind of the beach. It can also provide a comfortable place to relax and a safe place to store all of your belongings. It is ideal for use at any beach, park, campground, sporting event, or even your own backyard. The ultra lightweight, spacious Pacific Breeze EasyUp Beach Tent has UPF 50+ sun protection. The compact beach tent is made from breathable polyester and is water-repellent. It is very easy to set up and pack up in the carrying case thanks to a specially designed EasyUp Hub System. 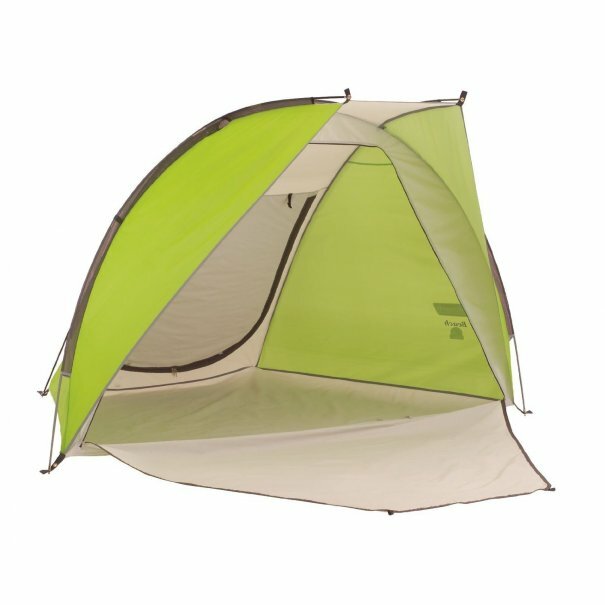 The durable tent includes internal sand pockets, large windows for ventilation, and stakes. It is recommended by New York Magazine and has exceptional online reviews, including more than 1,000 five-star reviews on Amazon. It is also backed by a one-year limited warranty. The Pacific Breeze EasyUp Beach Tent Deluxe XL is another highly recommended option. The spacious Coleman Road Trip Beach Shade can stand up to extreme winds. It offers low-angle sun protection and SPF 50+ UV guard protection. It features polyguard double thick fabric for added durability. 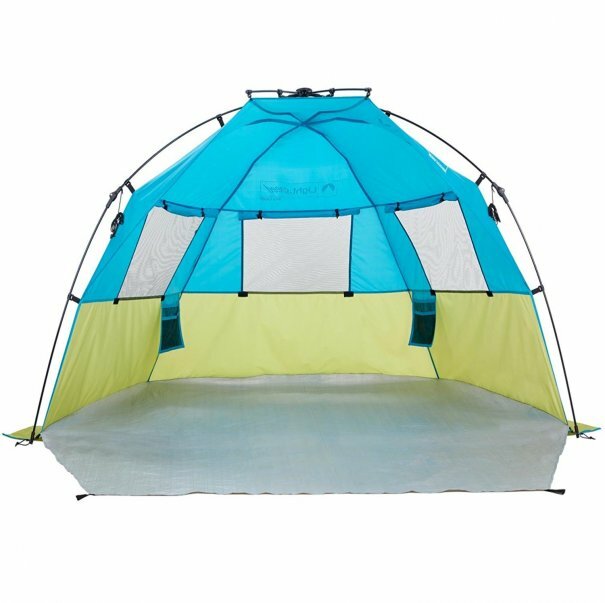 It has a floor mat, protecting you from the sand, and a closable front with two zippered doors, so it can be used as a changing room. The Comfort Grip allows it to be setup in about three minutes. It packs up really small, so you can easily transport it around in the carry bag. It also includes four hanging pockets inside, a dry line, sandbags, and extra-long stakes. This is available in four different colors. It has exceptional online reviews, including hundreds of five-star reviews on Amazon. It comes from the trusted Coleman brand and is backed by a one-year limited warranty. The spacious, yet compact, Lightspeed Outdoors Quick Cabana Beach Tent Sun Shelter is large enough for two adults and two kids with room for chairs and plenty of gear. It offers UPF 50+ sun protection and can stand up to high winds. It features interior pockets and three roll-up windows for extra ventilation and privacy. The lightweight cabana-style pop up beach shelter has quick, easy setup and takedown with a compression hub-system and integrated poles. It includes a carrying case, shoulder strap, sand pockets, stakes, and guylines. It comes in two different colors. It has exceptional online reviews, including hundreds of five-star reviews on Amazon. The sturdy, lightweight Texsport Calypso Quick Cabana Beach Sun Shelter Canopy has UPF 50+ UV protection. It is easy to set up and take down thanks to a three-pole pin and ring frame system with shock-corded fiberglass poles and four weighted sandbags. It features a durable ripstop polyurethane floor and three "no-see-um" mesh windows with interior zippered storm flaps for increased ventilation. It also includes stakes and a carry bag. The three-sided cabana allows you to sit completely inside for full-body protection or lie partially covered to protect just your face. It has exceptional reviews and is frequently recommended online. 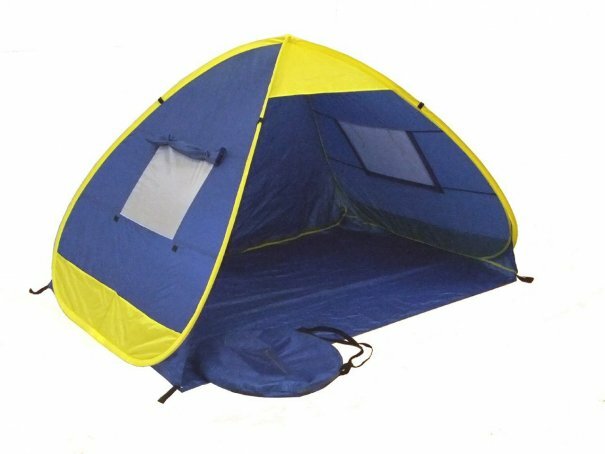 The ultra lightweight, compact Genji Sports Pop Up Family Beach Tent and Beach Sunshelter comfortably fits two adults or one adult and several children. It automatically pops open in one second and then coils back down flat into a circle in three seconds for easy transport. 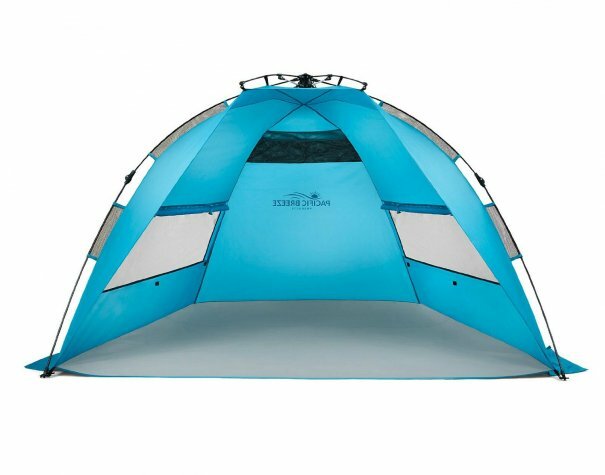 The durable tent has a strong steel beam frame and UPF 50+ coating for sun protection. The special designed waterproof cover has a floor, zippered back and front panels, two ventilation windows with roll-up covers, and four ground stakes. There are also sandbags on both side panels. It has outstanding online reviews and is frequently recommended online. The Genji Sports Instant Push Up Beach Tent Sun Shelter is another highly recommended option. And those are our recommendations for the best beach tents. As always, be sure to check Wise Bread's Buying Calendar to learn when and how to buy just about anything!